A flow diagram outlines the steps in a process, including conditions a user or system is under, and connections between tasks. Conditions are rules that dictate the flow. 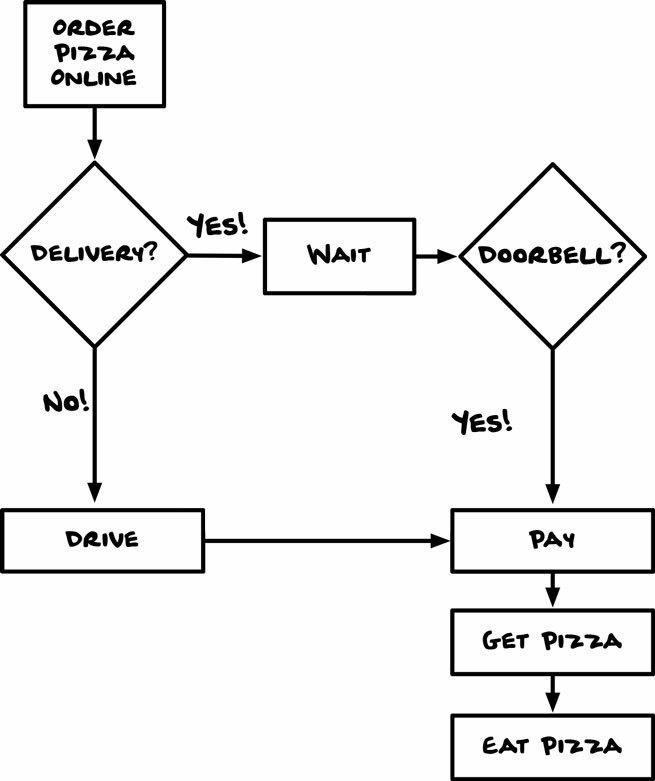 For example, the path I take in the flow is different if I'm ordering for pickup or delivery.